A heli pad is dimensioned after the largest helicopter schedule for regular use. The Annex 14 describes the heli pad size and markings. If local restriction dictates smaller sizes, consideration must be made by organizers and planners. AGAT is installed on a sub base. The sub base describes the maximum load bearing of the heli pad in worst-case scenario. It is typically not the helicopters weight but service vehicles like fire trucks, snow removal gear, fuel trucks, load and unload gear that determines the maximum load bearing on the helipad. Once the sub base is established, the AGAT is rolled out. AGAT is often installed on sub base with an underestimated load bearing, since it is easily repaired. Note that the surface will not break up or create FOD in case of a sub base collapse. The standard color of AGAT is green. Permanent markings are white for landing, yellow for taxi and red for service vehicles access, in accordance to Annex 14. Normally the green turf is installed first, and then the markings are cut in on site. If local condition dictates it, the entire AGAT surface can be produced off location, and airlifted to its final destination. After correct placement, the AGAT is fastened at the edges either by glue down or by trench and bury. The AGAT is filled with 25 kg rounded sand pr. 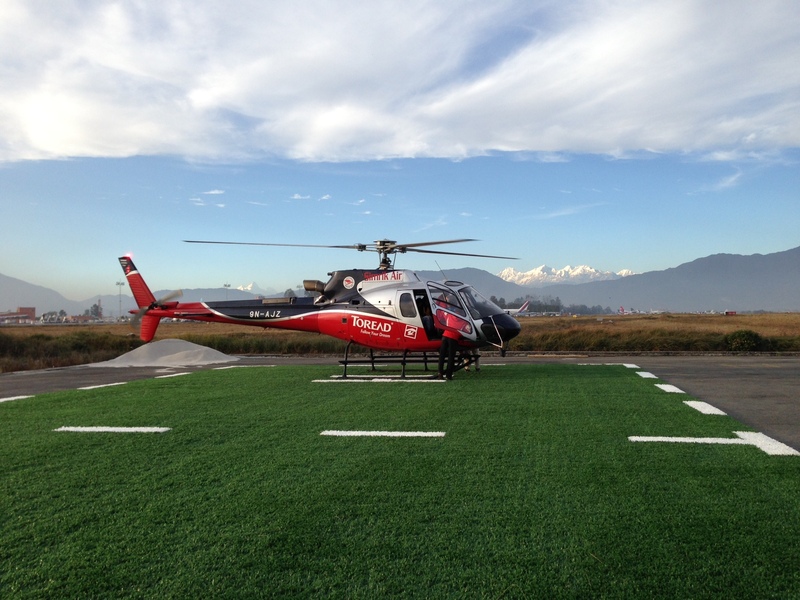 m² which is brushed into the fibers and the AGAT Helipad is ready for unlimited use.